According to a recent report by the Mirror, Liverpool could hijack Tottenham Hotspur’s move to secure the services of Adrian Rabiot from Paris Saint-Germain next summer. The same source has also revealed that the French midfielder, whose father Michel passed away a few days before the winter transfer window closed, couldn’t manage to make a switch to Spurs last month which means that he will become a free agent at the end of this campaign. So the likes of Liverpool and Barcelona will get the chance to join in on the hunt for his signature in the summer. The fact that he will be available for free next summer means that a summer dogfight between a whole host of clubs might be on the cards. 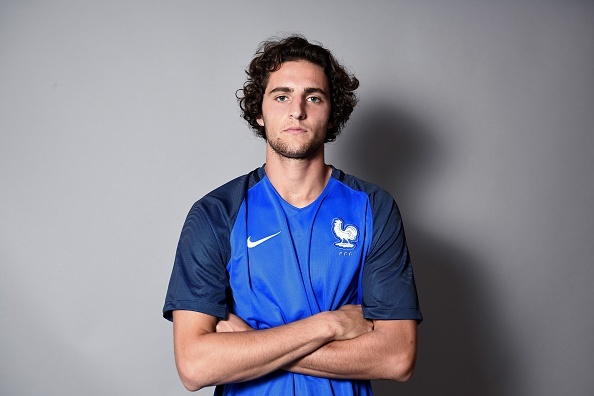 The Merseyside outfit could undoubtedly benefit from having a player of Rabiot’s ball-playing ability in their squad. Jurgen Klopp currently has some talented midfielders in his ranks such as Naby Keita, Georginio Wijnaldum, Fabinho, James Milner, Jordan Henderson and Alex Oxlade-Chamberlain who are all vying for a starting berth in the Reds first-team. However, except for Fabinho, Keita and Milner, none of the other midfielders have shown enough creativity and distribution capabilities from midfield. Hence, bringing in someone like Rabiot could help them breakdown the teams who sit back and defend in numbers which have frustrated Liverpool in the recent past. Two back to back draws against Leicester City and West Ham United has seen Liverpool’s healthy lead at the top of the Premier League table vanish with Manchester City now in a great position to leapfrog them in the title race. The lack of creativity from midfield was evident in both those matches which will be a cause for concern. Hence, the potential acquisition of Rabiot could ease those problems and help the Merseyside giants compete for major silverware in the coming years. The French talent has proven his worth in the past by performing well on a consistent basis. He primarily operates in a holding midfield role but is equally capable of playing as a box to box midfielder if needed. The 23-year-old has featured in 20 matches for the Ligue 1 heavyweights this term, finding the back of the net twice while providing two assists in all competitions. Klopp should do everything in his power to bring him to Anfield next summer as he will be a low-risk addition who would be available for free which means that it will free up money for other acquisitions in the summer. 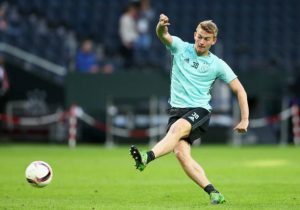 Manchester United Make Contact In Pursuit Of This French Midfielder: The Right Choice For The Red Devils? Rangers Defender Opens Up About Southampton’s Interest: A Positive Sign For Gerrard? French Ace On Chelsea Radar Not To Be Put On Sale This Summer: 3 Alternatives Including PSG Star! 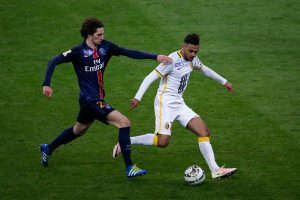 Arsenal Interested In Exciting PSG Youngster: The Solution To Their Midfield Crisis? Liverpool Handed Big Boost In Pursuit Of Ligue 1 Midfielder: Should Klopp Move In For Him? Tottenham Hotspur Keen To Sign This PSG Midfielder: Can He Propel Them To Dizzying Heights?